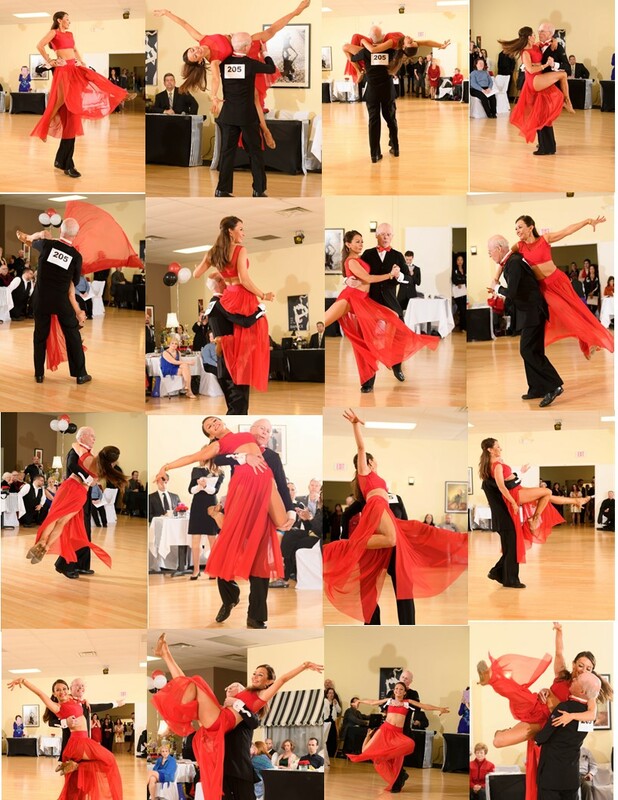 Blend of standard, smooth, and theatre arts performed in five back-to-back dances - a pentathlon of ballroom dance. Caution: Medical consultation, proper instruction, and warm up is essential. Create a dance style that helps establish Ballroom and Latin dancing as Olympic sports. Blend International Standard, American Smooth, and Theatre Arts in back-to-back Waltz, Tango, Viennese Waltz, Foxtrot, and Quickstep dances to generate excitement in artistic athleticism. We hope adept dancers from all divisions put together some really fantastic combinations and fusion Pentathlon Ballroom and fusion Pentathlon Latin become regular new dance competitions. Artistic athleticism (Strength, Endurance, Versatility, and Variety): Clips from a Waltz, Tango, Viennese Waltz, Foxtrot and Quickstep exhibition at River City (Richmond, VA) ballroom competition. (link). 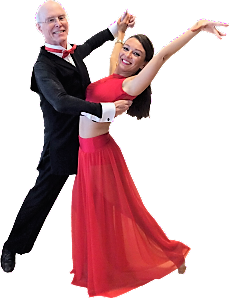 Performers blend International Standard, American Smooth, and Theatre Arts in back-to-back Waltz, Tango, Foxtrot, Viennese Waltz, and Quickstep. In one style of competitions, each dance is scored numerically by the judges considering the balance between the three dance styles, the number, complexity, and duration of lifts, and the mix of basic syllabus and advanced figures. Variety in the lifts, drops, and choreography is also evaluated. Like in many Olympic events, highest score wins. Draft rules, single dance score sheets, etc. Please like us at https://www.facebook.com/ballroomPentathlon/ and share. COPYRIGHT © "Yulia and Phil"